There are many good reasons why your Digital Business Consultant will tell you getting to page 1 of Google is a marathon and not a sprint. It’s a hyper-competitive world out there with a plethora of channels all vying for peoples attention. Experts suggest even with the right content and strategy, it can take 3 to 12 months to reach the coveted page 1 position! 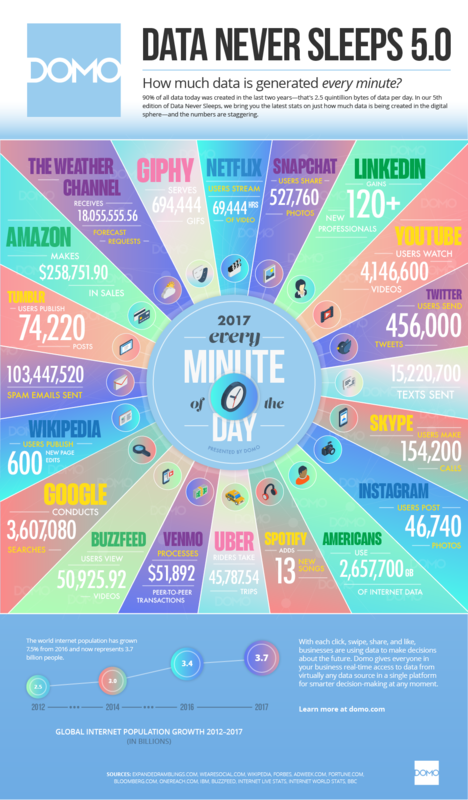 We’ve curated some amazing digital facts from across the web that illustrates the struggle to gain digital attention. 1. More data was created in the last two years than the previous 5,000 years of humanity. It equates to roughly 2.5 quintillion bytes a day and 90% of all data ever created. 2. 5.2 BILLION daily Google Searches…that’s 3,607,080 searches each minute of every day or 40000 every second. 13. One estimate projects that by 2022, there will be 35 billion devices connected to the web—that’s four devices for every man, woman, and child on the planet! What about purchasing and selling on the Internet? 15. Amazon makes around $258,751 in sales per minute! 18. 80% of sent email is SPAM…who’d have thought! 19. Email marketing is the least used marketing channel but produces the highest Return On Investment. 21. People are using the search term “best” 80% more often in the past two years., ie, best smashed avocado in Melbourne. 23. 65% of daily internet users read blogs. 26. Small businesses with blogs get 126% more lead growth than small businesses without. 27. After reading recommendations on a blog, 61% of online consumers made a purchase. 29. 30,000 websites are hacked each day! 31. 82% of them consult their phones before buying anything in a store. These are just a few of the mind-boggling statistics that we’ve seen in the last year. They show how entrenched digital is and how likely it will continue to dominate every aspect of our lives.